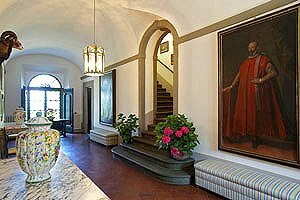 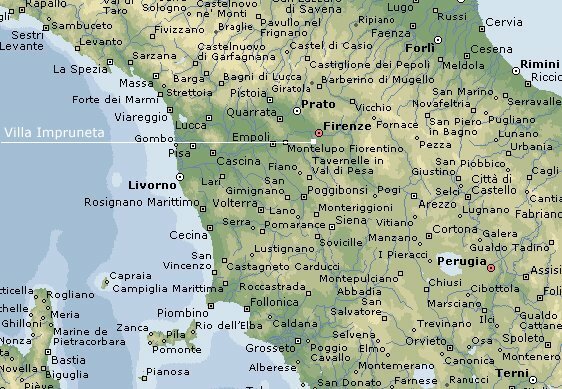 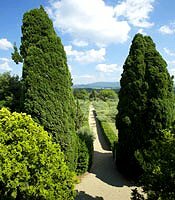 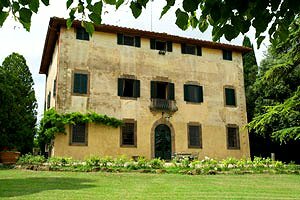 The villa stands on the hills of Florentine Chianti, in Impruneta, the town of the famous Florentine terracotta, just a few kilometres from Florence historic centre and its celebrated monuments: Piazzale Michelangelo, the church of Santa Croce, Ponte Vecchio and the Uffizi Gallery. 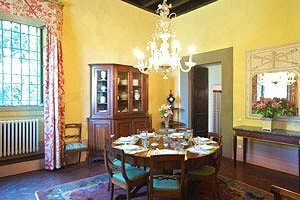 Staying at the villa guests can visit the whole Chianti region and its picturesque villages and towns and discover the secrets of the famous Chianti wine visiting one of the many wineries in which it is produced. 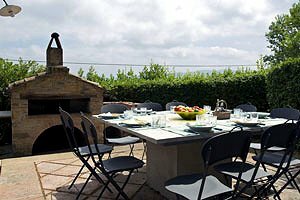 The luxurious villa affords a wonderful view over the gentle Tuscan hills. 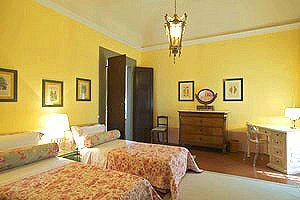 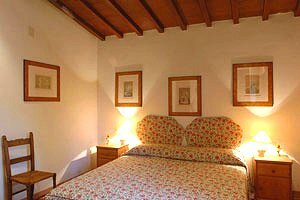 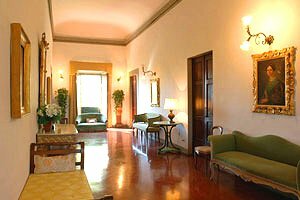 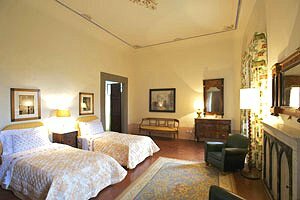 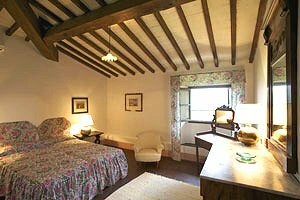 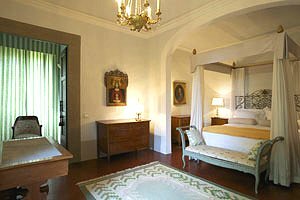 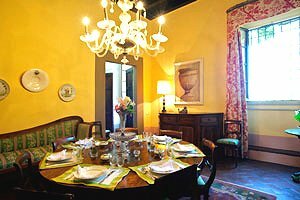 It is a historic residence dating from the 17th century, whose rooms are furnished with elegant original period furnishings. 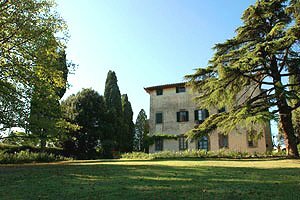 In the fully-fenced wide park that surrounds the villa are a barbecue with wood-burning oven, a pergola with table and chairs for having meals in the open air and the private swimming pool (6x12 m; depth: 1.20-2.00 m). 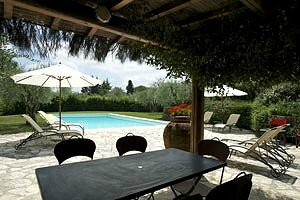 A gazebo by the pool side is furnished with table and chairs. 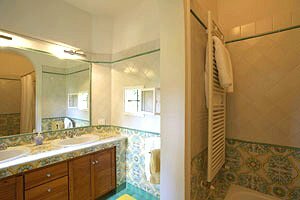 The complex composes of the villa and a guest house; it can accommodate 16 guests in 4 twin bedrooms and 4 double bedrooms, and has 6 bathrooms and 1 half bathroom. 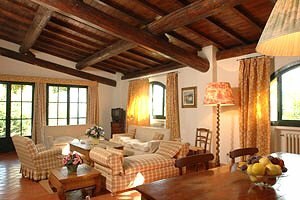 The villa can accommodate 12 guests in 3 twin bedrooms and 3 double bedrooms, and has 4 bathrooms and 1 half bathroom. 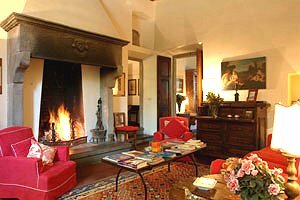 The ground floor composes of a gallery, kitchen with fireplace, dining room, two living rooms, laundry room and a half bathroom. 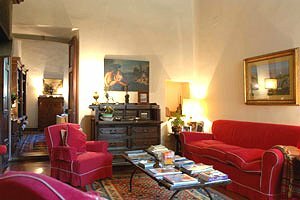 On the first floor are a gallery, two double bedrooms with ensuite bathroom, two twin bedrooms, a storeroom and a bathroom. 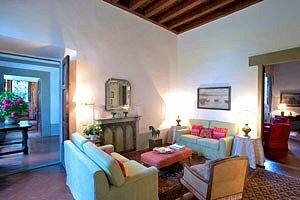 On the second floor is an apartment composed of kitchen, living room with dining room, a twin bedroom, a double bedroom and a bathroom. 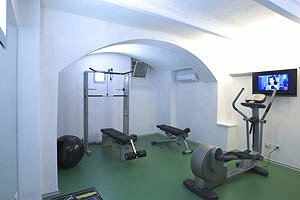 The basement has been adapted as a gym. 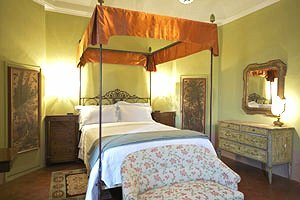 The guest house can accommodate 4 guests in 1 twin bedroom and 1 double bedroom, and has 2 bathrooms. 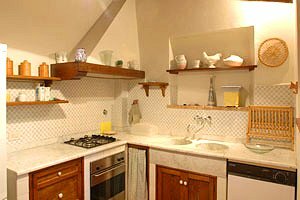 It composes of kitchen, living room with dining area, laundry room, a twin bedroom, a double bedroom and two bathrooms (one with shower and one with bathtub). 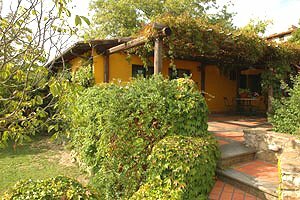 The guest house has a private garden and a terrace furnished for having meals al fresco. 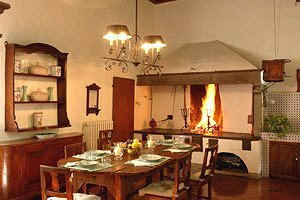 The villa comes with swimming pool, wood-burning oven, barbecue, working fireplace, Internet connection, air conditioning, satellite TV, DVD player, gym, microwave oven, electric oven, dishwasher, washing machine, tumble dryer, cot beds and private car parking space. 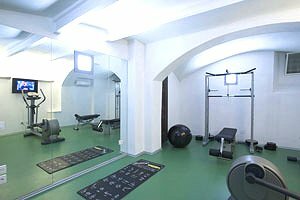 A riding stable is 200 metres from the estate. 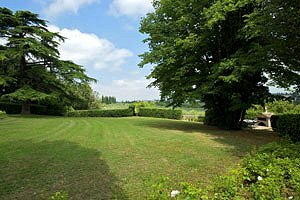 A golf club and a tennis club are within 5 kilometres of the property.